All contents of this website including texts, pictures, musics and videos are copy righted. Let us admire and respect our Ethiopian artist's work, because it is intended for educational and entertainment purposes only. EhremTube.com does not violate right of any copyright holders [owners] knowingly. If you see or fined some contents such as texts, images, videos and audio files that you own on this website, we encourage you to demonstrate enough evidence of ownership and contact us so that we will automatically remove it with in 72 hours without any precondition. *** Our Flash and HTML5 mp3 player gives copyright protection features against any kinds of illegal download and distribution. In this case users can only listen songs. *** Most videos [not all] are directly from the largest video sharing sites YouTube and Vimeo, it is nothing to do with our server. Let us contribute and support our Ethiopian artists morally and financially by buying their original products of their hard work which helps them to come up with new work. Copyright holders are always encouraged to contact us for removal of their property or other purposes. Ephrem..Ephrem..Ephrem..!!! You are so Amazing and super talented man. I am so proud of you Broo! Kep it up the good work ! hello my fellow ethiopian friend , as i am encouraging your effort for what you are trying to do ,i would like also to point out about the depth of your articles for example the history page if you say history you need to spend a lot of time to dig deep seaching for a good acount and authentic from the early history to the present day .you have to remember you are passing information that can tear or build the nation so please try to be precise and present a full history for what you are wrting . God bless you and God bless Ethiopia . This is a great beginning. I would like to encourage you and appreciate this effort, which I believe you will work hard to improve it further. Thank you for your effort to bring our country Ethiopia to the level where developed countries reached in terms of information communication. This is wonderful work. Please keep up the strong spirit of National development. I am proud of you. God bless you! Subscribe here to get the latest scoop right to your inbox via RSS. It is a personal multimedia, entertainment & educational website with dynamic content & elegant design. The door is open for all to enjoy it. No modest to say that it is the most powerful & professional Ethiopian site so far. It is intended for educational and entertainment purposes only!. Hi! My name is Ephrem, I love technology and enjoy developing website, designing graphics and other goodies. 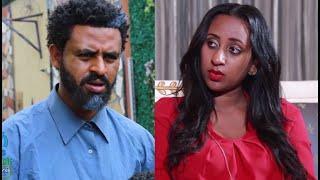 As a Founder of EphremTube I am realy privileged and happy to deliver this content to all Ethiopians as entertainment & educational purpose .Thank you for taking the time to visit .